Welcome to Book My Minibus Hire we are a UK based travel company that specialises in all aspects of ground transportation. Whatever your journey type we will help to get you there as quick as possible, our motive is to serve our customers by providing them a one stop minibus hire and coach hire booking service at an economical rate for all possible purpose. We provide professional drivers who will meet and greet you at the airport, house or business premises and will also take care of your belongings. 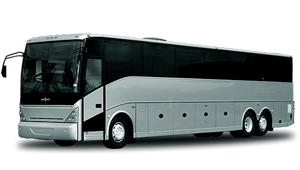 As one of the leading UK minibus hire and coach hire supplier we can offer total private and corporate travel packages to suit your personal or business minibus hire requirements. Book My Minibus Hire focuses on providing pickup and drop off service from all UK towns and Cities including all major Seaports like Southampton ports and Dover and most of all the Airports in the United Kingdom. This is the perfect place to find low cost minibus hire in the UK, if you have a special occasion coming up and you would like to hire an affordable minibus that will not blow your budget. Do not waste your time calling other companies just pick up the phone for an instant price. We have a wide range of vehicles available to at our disposal, for example a luxury Mercedes minibuses, minivan, luxury mini coaches starting from 6 seater, 8 seater, 12 seater, 14 seater, 16 seater, 24 seater minibuses and 32 mini-coaches plus Limousines available on request. Most corporate or business transfers like to travel in style and that is what we can provide. Booking in advance for our luxury minibus service will be more beneficial as you don’t have to panic at the last moment and can relax while we get you to your destination satisfied. 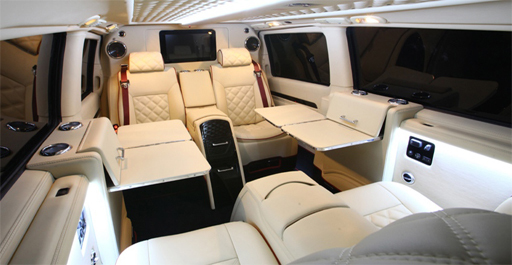 Forget about all the stresses and hassles of travel with this unique minibus service. Book my Minibus Hire will transport you in style to your destination in one of our luxurious people carriers or mini coaches to arrive refreshed and relaxed. 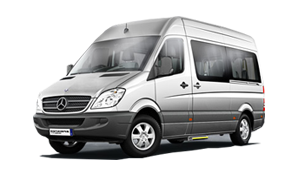 We provide one of the best Minibus hire with driver service and executive transfer service that cover the whole of the United Kingdom. Our minibus hire service is used widely by local and national companies all over the country. We operate a 24-hour online booking service with incredibly low rates. Our customer service agents have years of experience in the minibus hire industry and can get you a minibus hire with driver within one hour of completing the booking. Why are we Value for Money with Cheapest Rates? Our trust worthy reputation and years of customer satisfaction has helped us negotiate the lowest prices across the country. Along with our professional drivers we also offer variety of minibuses from 6 seater minibus, 8 seater minibus, 12 seater minibus, 16 seater minibus, 24 seater minibus and 32 seater minibus hire available to our clients. We also have access to executive cars such as Mercedes, Audi, BMW for those who want to travel in style at an affordable price. Customer satisfaction is our number one priority that is why our clients come back to us for all their minibus hire transportation needs. All bookings can be made via phone OR filling our quick quote form on our website, we will confirm your bookings via email. We are your single point of contact for minibus hire quotes 24 hours a day 7 days a week as our registered drivers can pick up from anywhere in the United Kingdom. From 6 to 32 passengers a minibus is the most cost effective option for long and short distance business and personal transfers. Our drivers offer a professional door to door service, efficient and cheap minibus hire. We can offer advice on; Best Restaurants, Finest Hotels, Logistics, Client/Delegate Entertainment. Book my minibus hire offers a premium airport transfer service to and from all areas of the United Kingdom and the major airports. For upcoming events hiring a minibus or coach for corporate events are very essential for a lot of companies around the UK. If you’re looking for executive minibus hire or executive coach hire in the UK, you must include book my minibus hire in your search. We provide transfers to and from all major seaports all around the country. Just a quick thank you for the fantastic punctual service we received from you and your staff on Tuesday for the minibus shuttle on the day of my mothers funeral. It went without a hitch I would be very happy to recommend you. The Service delivered was outstanding, I would recommend Book My Minibus Hire to all my friends. The service delivered by Book My Minibus Hire was second to none, they organised every part of my Transfer, even amendments to my booking were handled swiftly and professionally. Copyright © 2015. Book My Minibus. All Right Reserved.